The school believes that kinaesthetic learning, or the type of learning where children engage in physical activities alongside books and examinations, is an active approach as students use five-senses along with their mind in the process of gaining knowledge. This type of learning has a long-lasting effect as students gain deeper knowledge after a series of trial and errors. 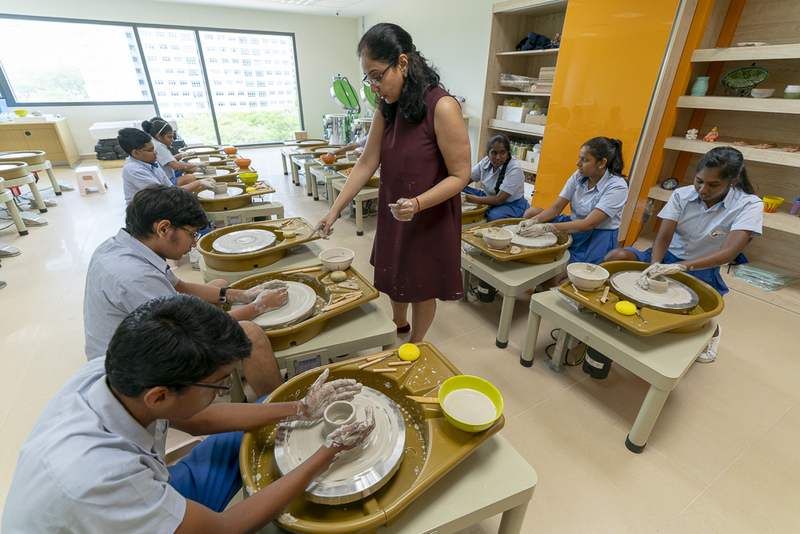 Apart from this, experiential learning is more engaging as both teachers and students enjoy the lessons and the absorption rate is 70% higher as compared to rote learning. learning by doing cannot be restricted to conducting hands-on experiments on what students have learnt. The instructional strategy should go beyond the curriculum and provide a chance to the students to acquire new skills. Students should be motivated to enhance their creativity and inquisitiveness by engaging in innovative activities rather than being bookworms. After all Global citizens of tomorrow need to be adept in multiple skills to successfully connect with a wider world. Skills-based studios – GIIS SMART Campus has 40 skills-based studios that let the students explore unique skills which they will only get to try in a trade school otherwise. Unconventional skills like radio jockeying, radio production, culinary art, TV production are onboard and part of the school curriculum. Each skills-based studio comes equipped with state-of-the-art facilities and a dedicated trainer to professionally teach the skill to the students. 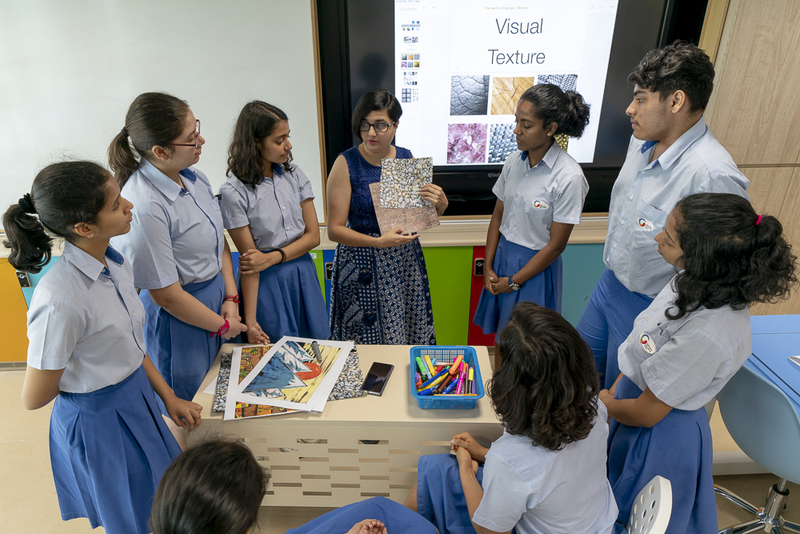 Collaborative Activities in dedicated spaces – The school provides exclusive and dedicated spaces like Learning Commons and Expandable Classrooms where students collaborate and learn by doing. Teachers divide them in teams and give assignments or problems for which they find solution by brainstorming and find new and relevant information using the internet. This self-directed approach to learning involves minimum hand-holding and ensures that students learn to seek information and arrive at conclusions on their own. In addition, they also learn to communicate with team members and act as team players. These hands-on activities prepare the students to be effective thinkers and self-starters. Activities under 9 GEMS – 9 GEMS is an award-winning educational framework by GIIS that ensures holistic development of students. The framework focusses on various personality traits – academic proficiency, inclination towards community service, excellence in sports, mastery in visual and performing arts, entrepreneurial and leadership skills and other similar facets. Through myriad of extracurricular activities, students enhance their personalities in various ways and learn valuable skills which they master by doing. Competitions and contests – Traits like strategic thinking and sharpness of mind cannot be enforced through books and conversation. To brush skills in these areas, students need to participate in competitions and contests. GIIS makes sure that students starting kindergarten up to senior classes are exposed to multiple competitions and contests like HiQ inter school Quiz, spell-o-well, Real World Challenges Convention, Global Indian Stars etc, that develop their acumen and ability to face challenges. 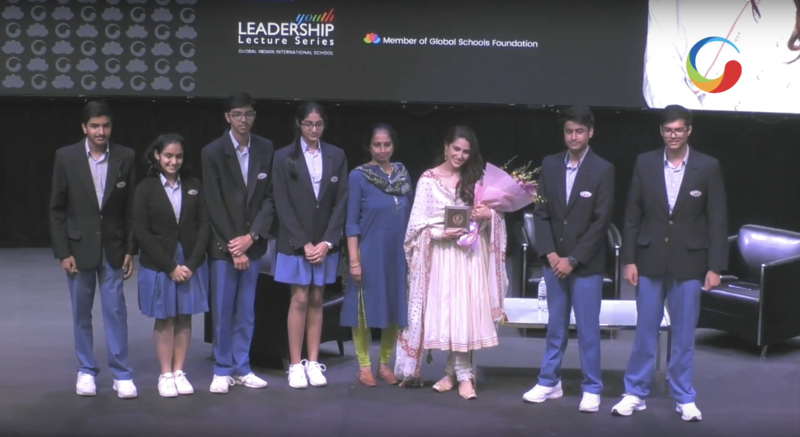 Leadership Lecture Series (LLS) – leadership lecture series is an initiative by GIIS where leaders and achievers from various fields are invited to interact with the students and motivate them in various ways. One might wonder how LLS brings forth the ‘learning by doing’ approach. The format of LLS is interactive and a bunch of students share the stage with the eminent guest and ask them a series of questions. This provides practical exposure to the students in being extempore while posing questions to the guests, articulate their ideas into words and use appropriate gestures to confidently connect with the guest sitting in front of them. By leveraging on the above areas, GIIS implements the philosophy of learning by doing that results in competency enhancement and enduring learning outcomes. Students falter in the process of learning by doing, but falling and getting-up is a part of hands-on learning approach and that’s the main push that makes students confident individuals.